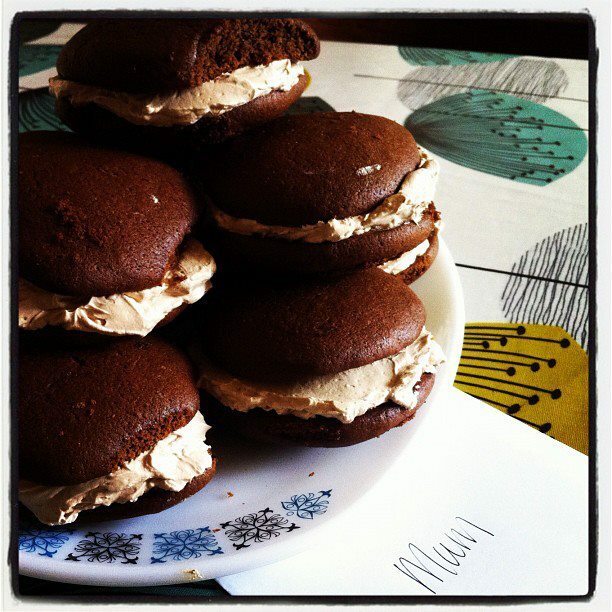 In the baking world, whoopie pies have been all the rage recently. Having tried dried out and tasteless store bought versions back home in the US, I scoffed at this phenomena when it crossed the pond. I thought, “Why would people get into this ‘treat’ when it wasn’t all that tasty?”. 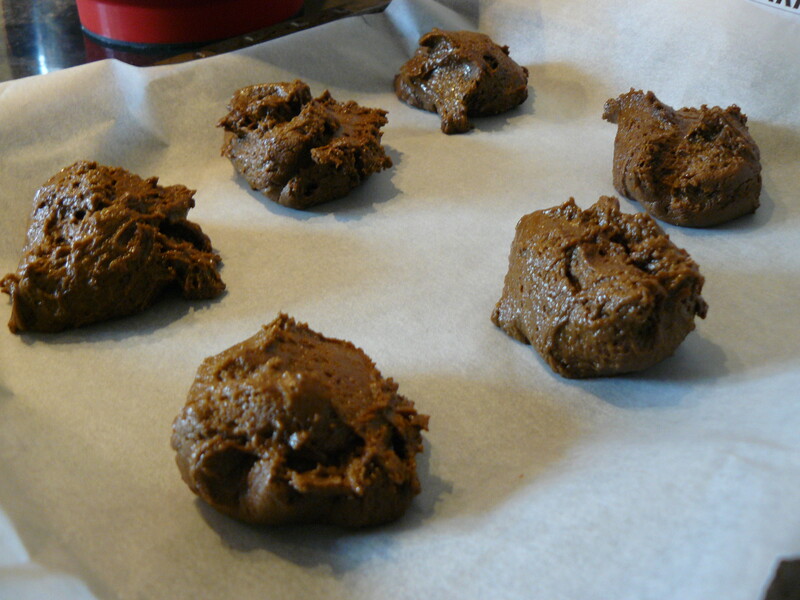 But then after reading about the origin of whoopies in Baked In America, I decided to see what the fuss was all about. 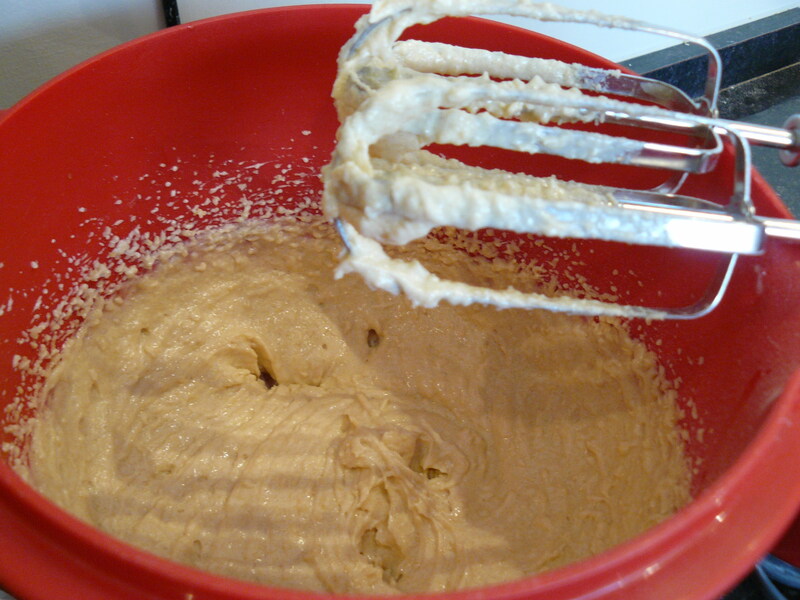 We’re big fans of gingery type cakes so the Shoo-Fly Whoopies recipe seemed the right place to start. Full of goodness like ginger and black treacle, I was suddenly coming around to the deliciousness that would be the whoopie pie. 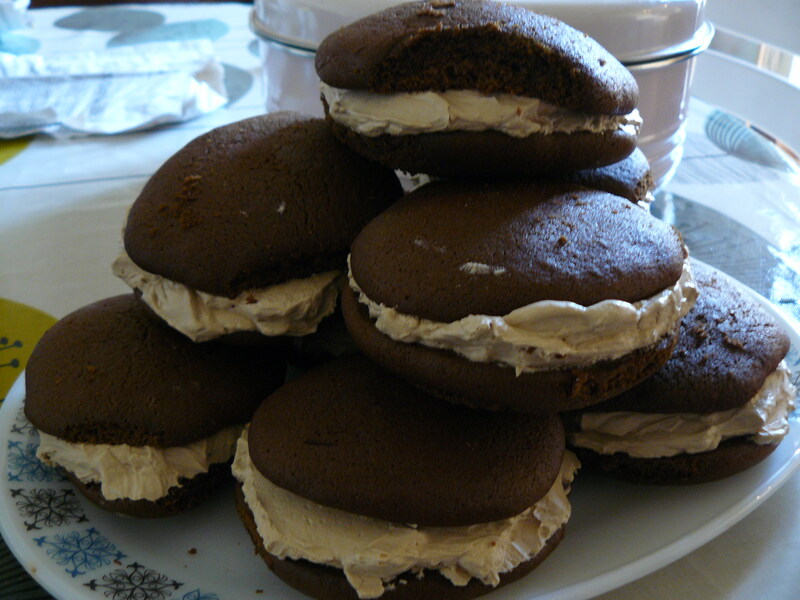 If you’re not familiar, whoopies are like big cakey cookie sandwiches, filled with a cloud like creamy filling. They can be made into all sorts of different flavor combinations. 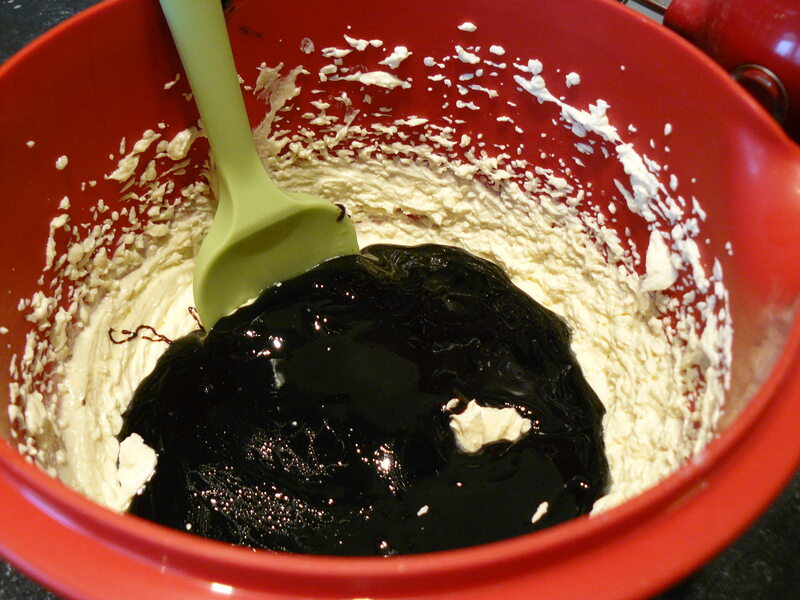 The Shoo-Fly Whoopie is a take on the traditional ‘Shoo-Fly Pie’ hailing from Pennsylvania Amish country, also where the whoopie pie is said to come from. Having lived in England for nearly eight years, I have become interested in the origins of regional baked treats and local traditional dishes. Finding one that celebrated a local tradition in the US was quite exciting. I’m not aware that my hometown in California has a specialty, unless you count chain restaurants… hah! 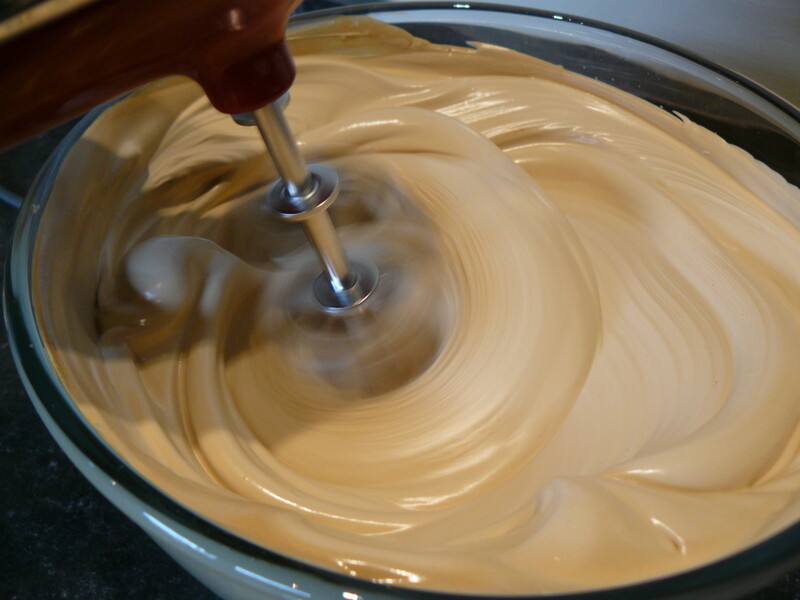 The recommended filling for the Shoo-Fly Whoopies was a caramel frosting. 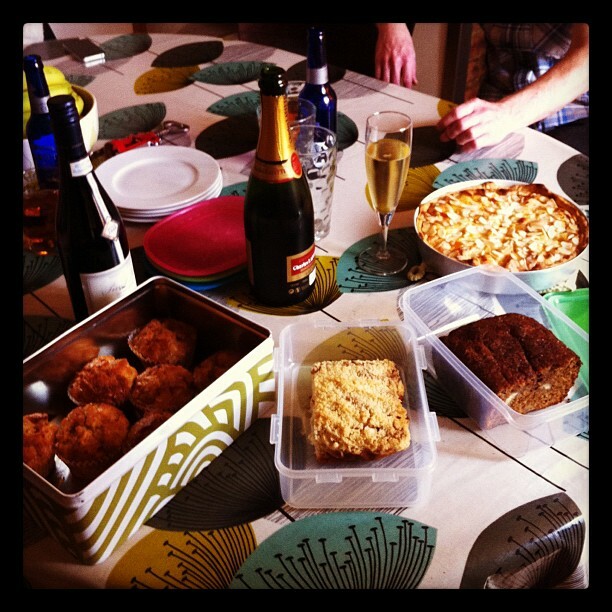 All I can say – it was YUMMY! 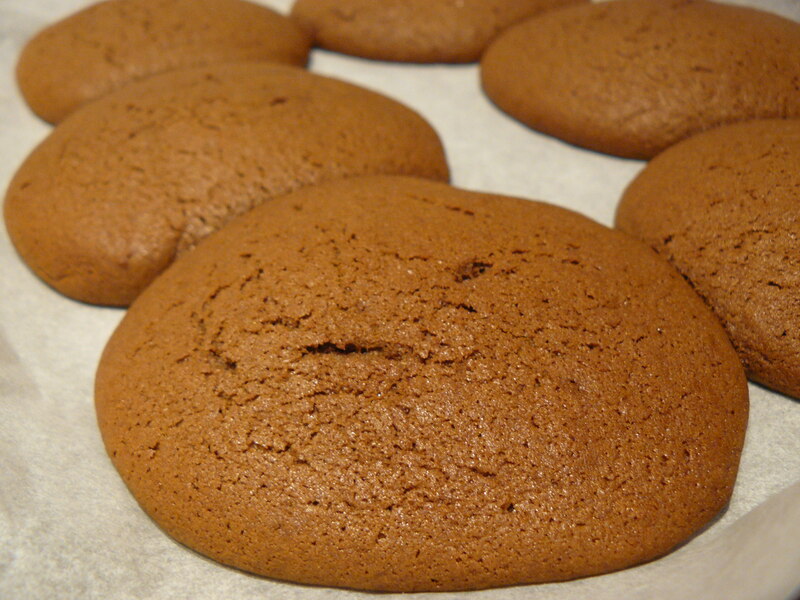 My whoopies turned out GIANT sized, which I suppose is only a problem if you are watching your caloric intake. I have since halved the size of scoop to make much smaller whoopies so they are still an indulgent treat, but with less guilt. 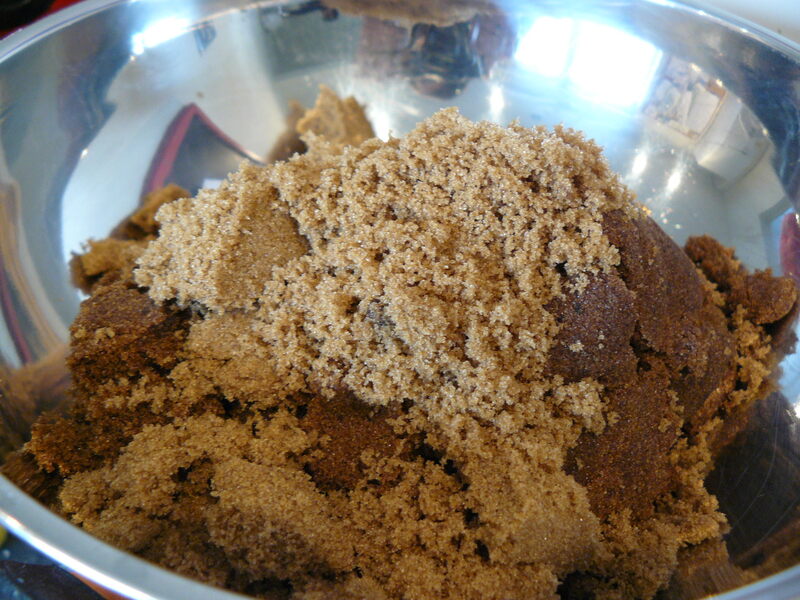 Have you tried homemade whoopies yet? They are in a different league to anything you might find in the store, now matter how much the label says you can taste the difference. 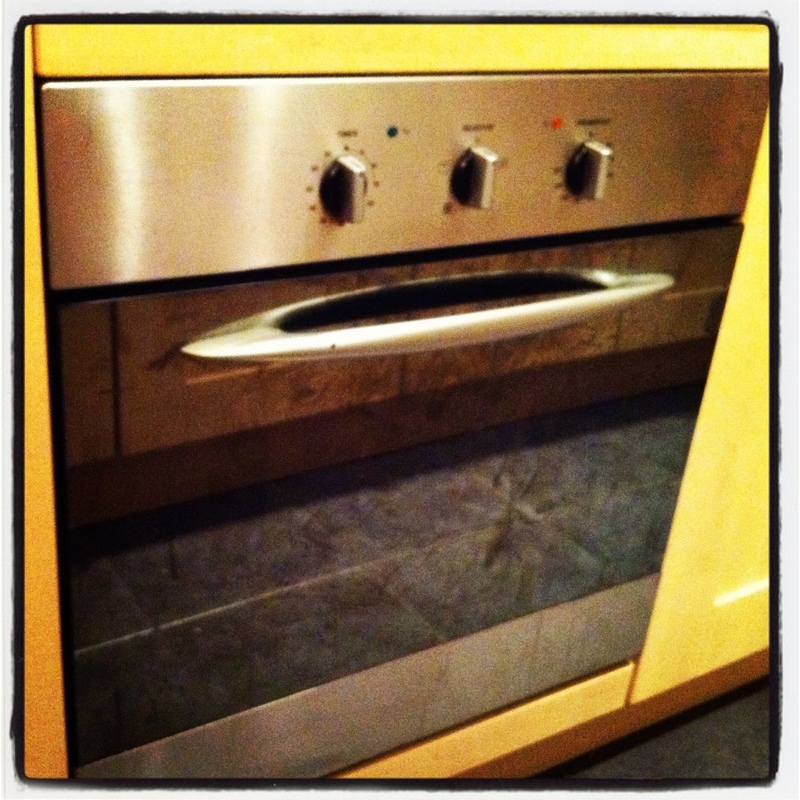 Last Sunday our oven’s heating element gave up the ghost – again. It happened while we were out on a walk, with a pork leg roasting away. Thankfully, our quick thinking turned it into a pot roast so dinner was saved. Living without an oven, especially in the middle of winter, is not ideal but we’ve made it work. So today, we say goodbye to the oven that has seen us through many Christmas dinners, birthday cakes and other baked treats, even Thanksgiving! Watch this space for adventures of breaking in the new oven. I’m just a little bit excited! 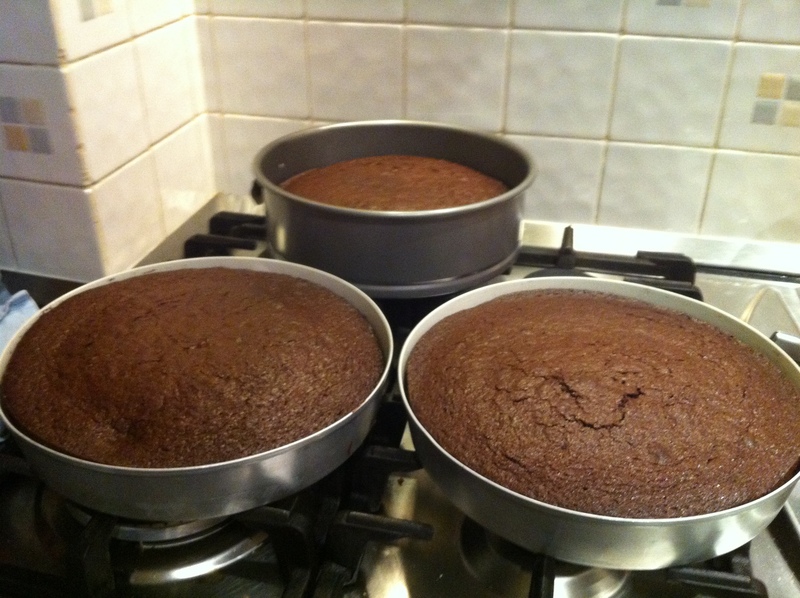 Now, who wants cake?? It’s a new year… Must mean a new cookbook! I’m kicking off this new year with a new cookbook. 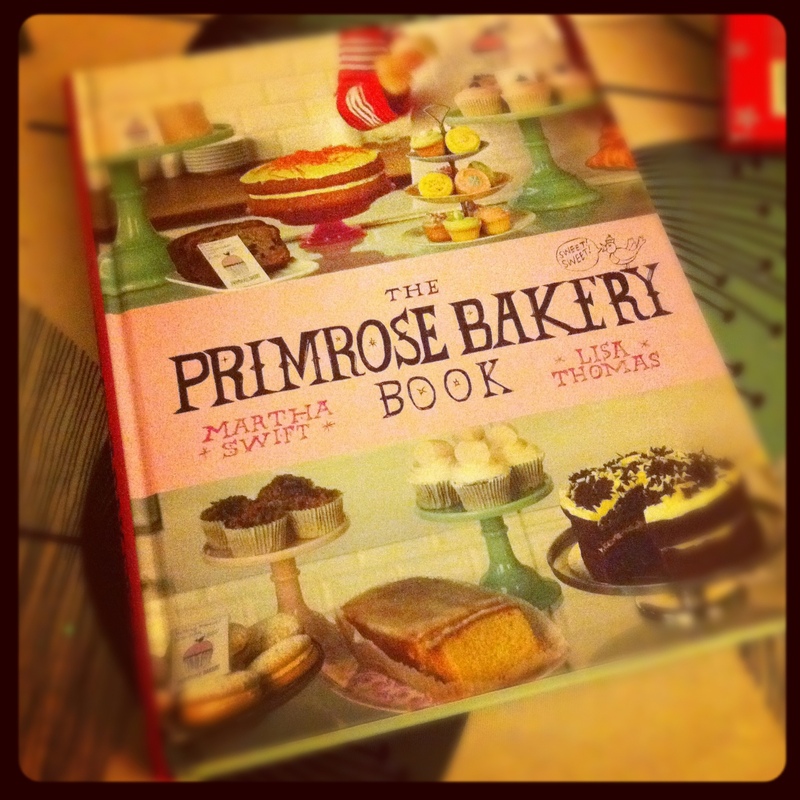 I’ve had much success from the Primrose Bakery Cupcake book, I am really looking forward to getting stuck into their Baking book this year. 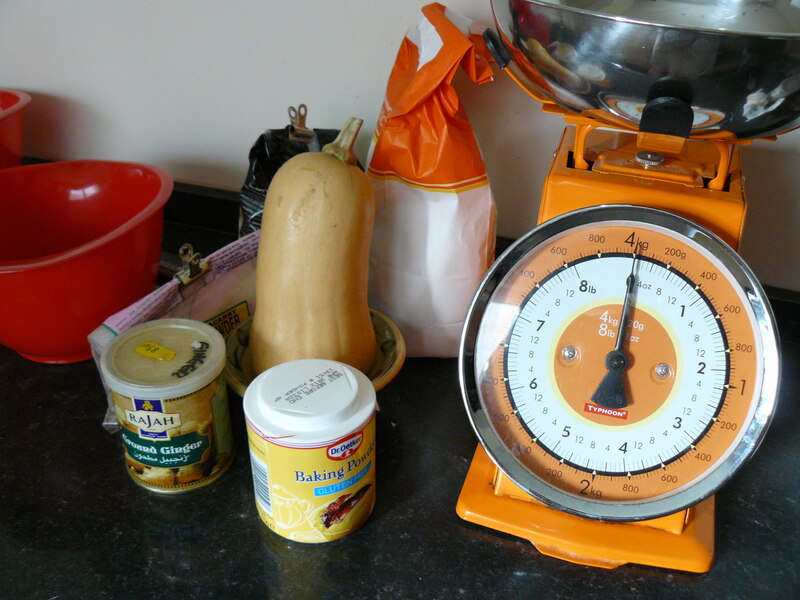 Watch this space for many baking treats! We’ve been given a large quantity of pears from the in law’s garden, almost so many we’re not sure if we’ll be able to put them all to good use. I’ve been digging through my cookbooks to find inspiration. 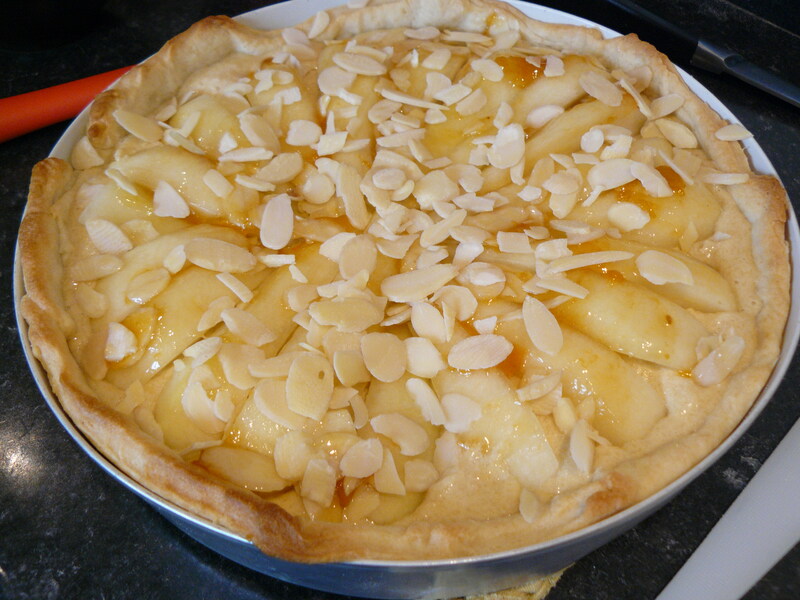 Thanks to Sarah Raven’s Garden Cookbook, I decided to make a Pear and Almond Tart. We chose this one as it would be fantastic to eat but also freezable so that we can enjoy later on in the season. With the decision made of what to make, we got started. 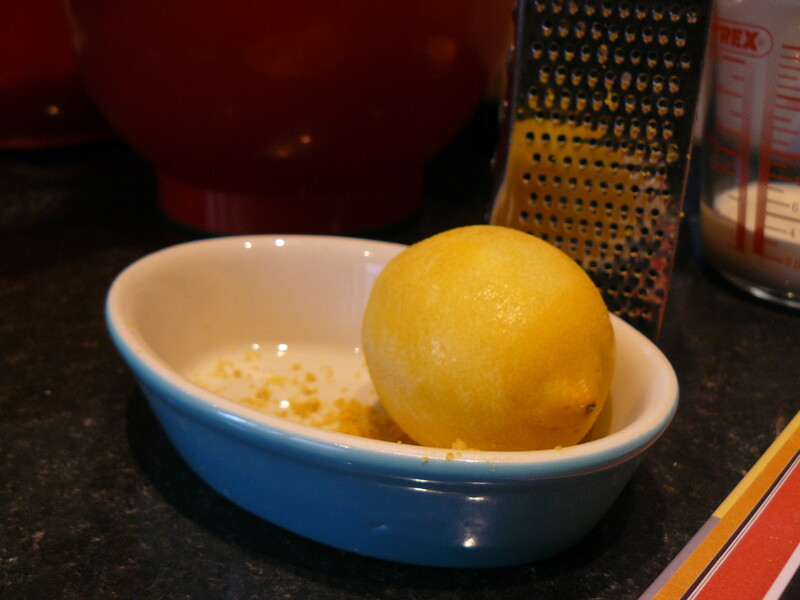 I enlisted the help of Martin to help cut up pears. 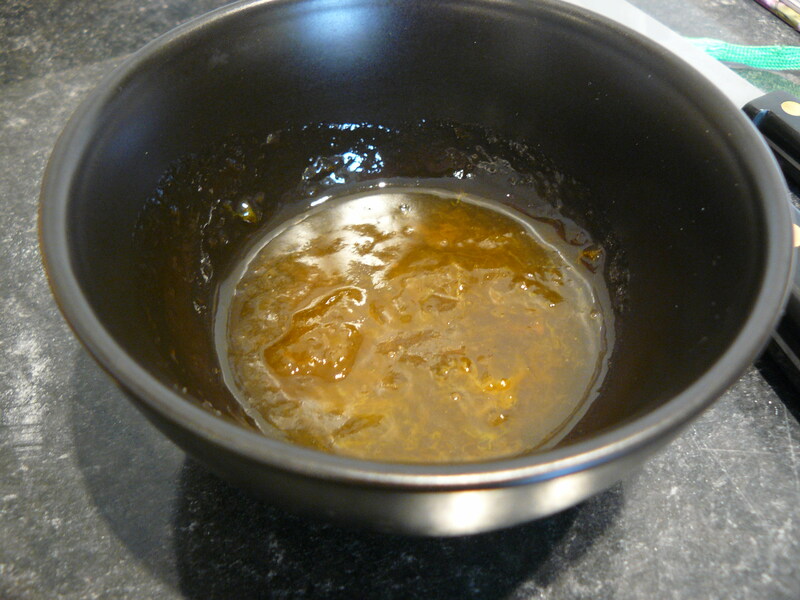 We assembled the ingredients into blind baked sweet pastry shell and topped with an apricot glaze. The tart is ready to go into the oven. And now is out of the oven. We shared the tart at our first instalment of Pub Whiteman. The tart was very tasty. Pears and almonds are a fantastic combination. 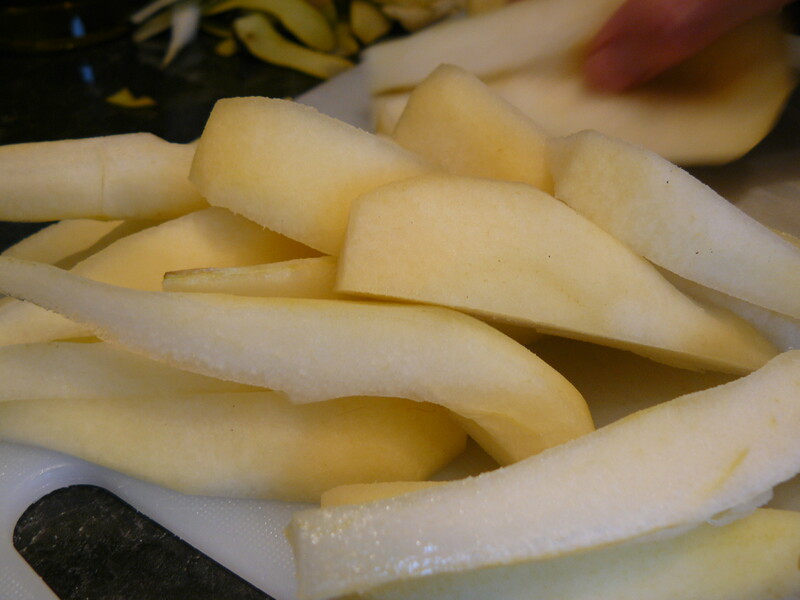 Since the pears weren’t pre-cooked, they still retain their shape and texture, rather than becoming a mush in the cooked tart. I’ll definitely keep this recipe for future use. 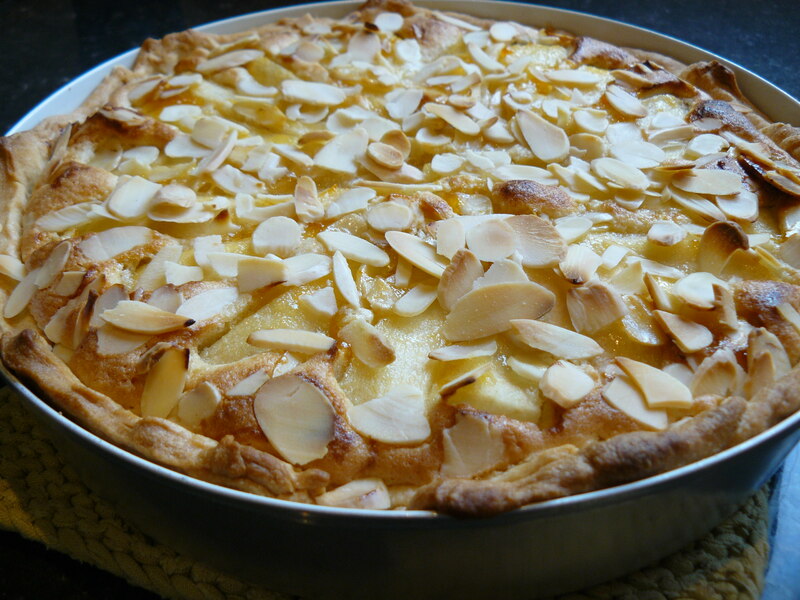 I’m also looking forward to enjoying the slices of pear and almond tart waiting in the freezer. YUM! Mini G and I were invited to a friend’s house for a play date and I thought it would be nice to bring mini cupcakes for elevenses. 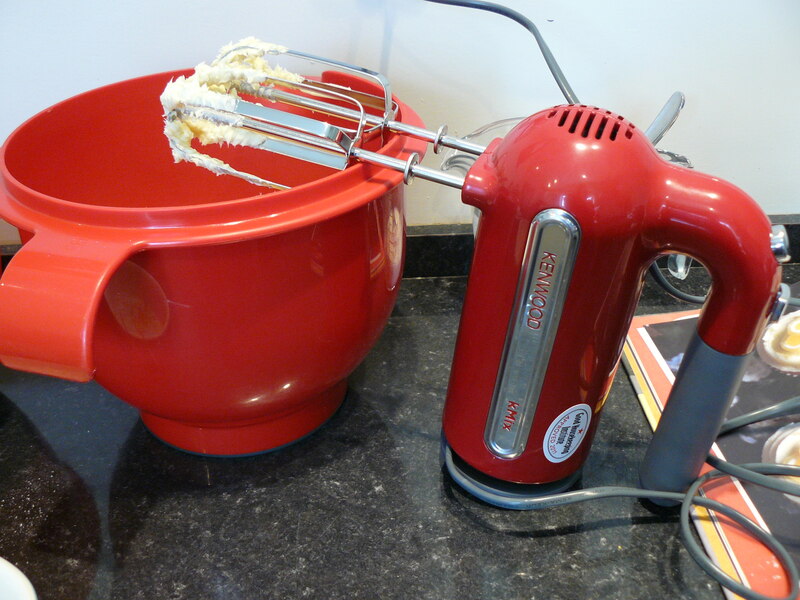 Another friend of ours has a gluten intolerance, so I turned to Harry Eastwood’s Red Velvet and Chocolate Heartache as her recipes all feature the choice of using either rice flour for gluten free or plain flour for non gluten free. 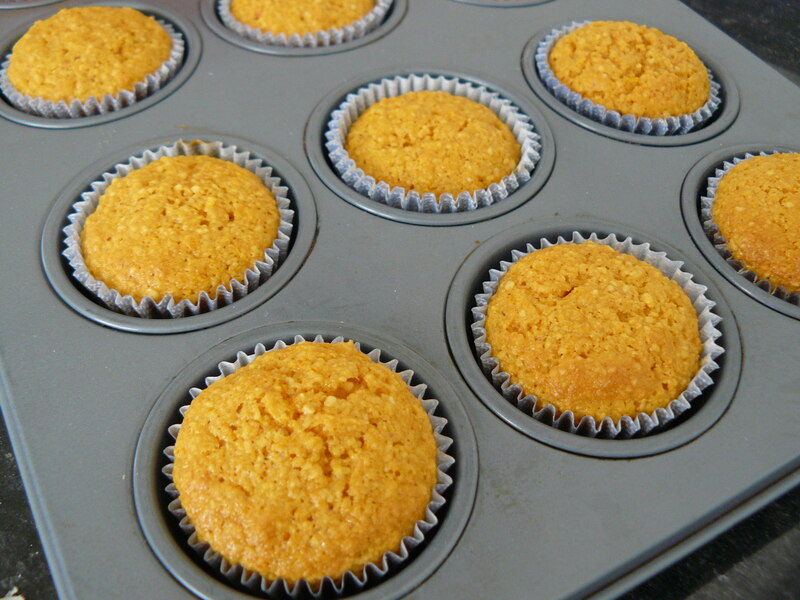 Another brilliant feature of her recipes is that she substitutes various vegetables for butter. 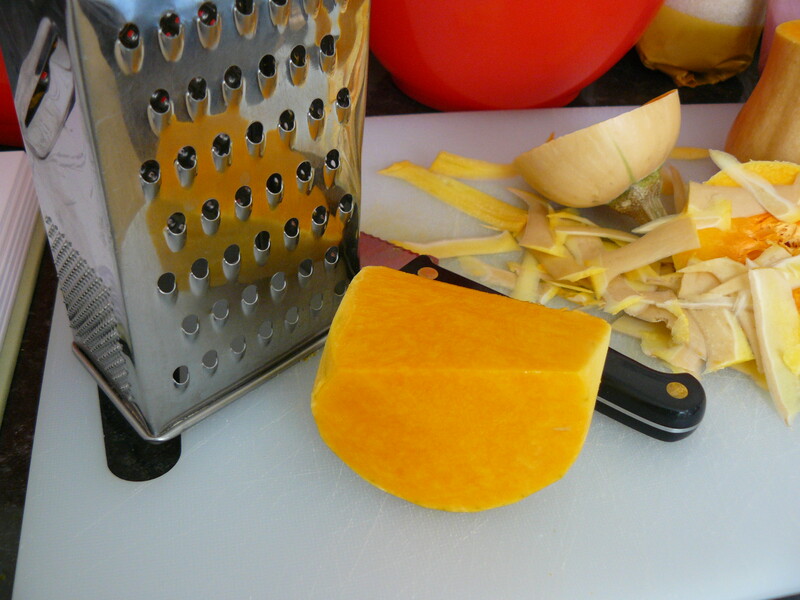 This particular one used butternut squash. 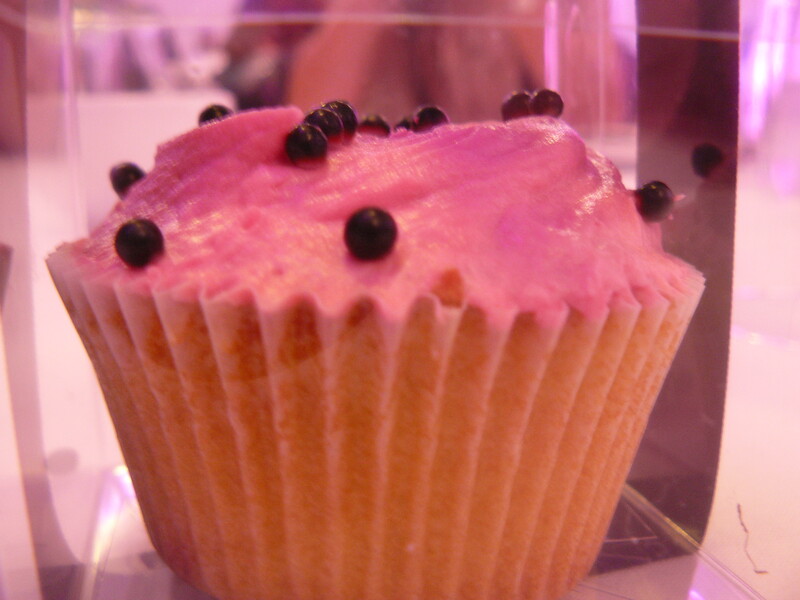 Mini cupcakes are perfect for elevenses. The kids love them and the go well with a cup of tea for the adults. I like to decorate the tops of cupcakes when I can. 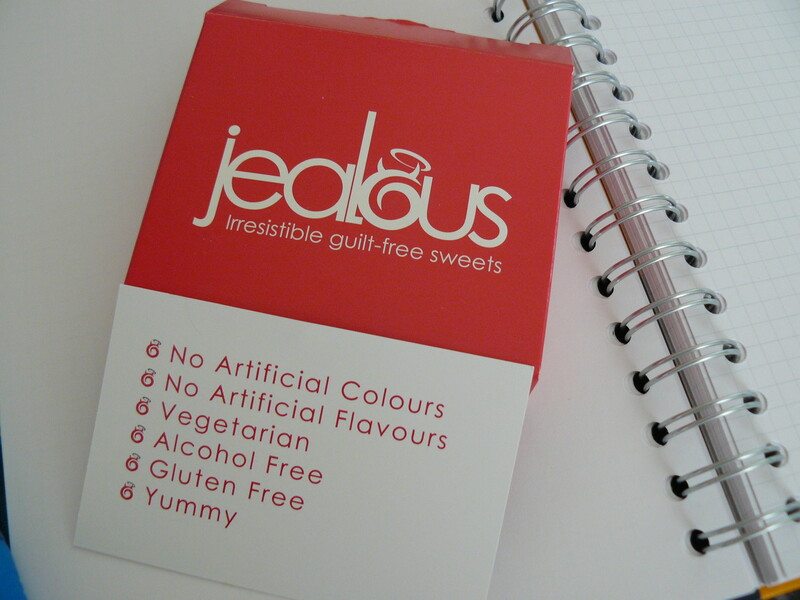 As this recipe was featuring vegetables in place of butter and rice flour instead of plain flour, I decided to use the recently launched Jealous Sweets, which are both gluten free and vegetarian friendly. 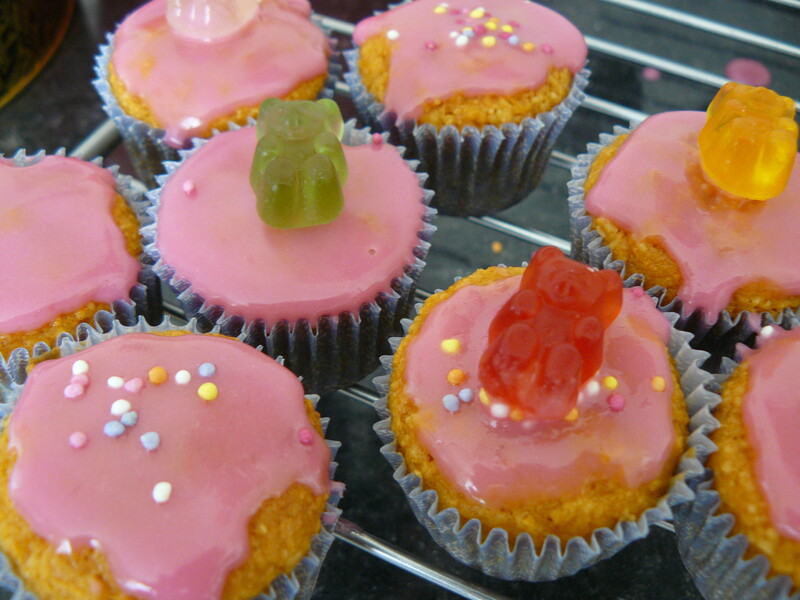 The Jealous Gummy Heaven bears were a perfect topping for the kids and adults alike, they added colour and fun to the petite cakes. 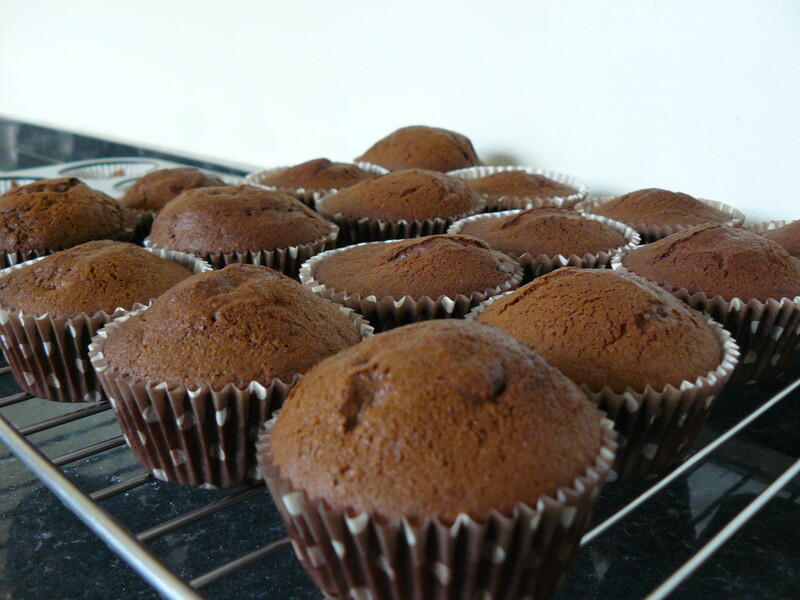 Yum… they went down a treat! 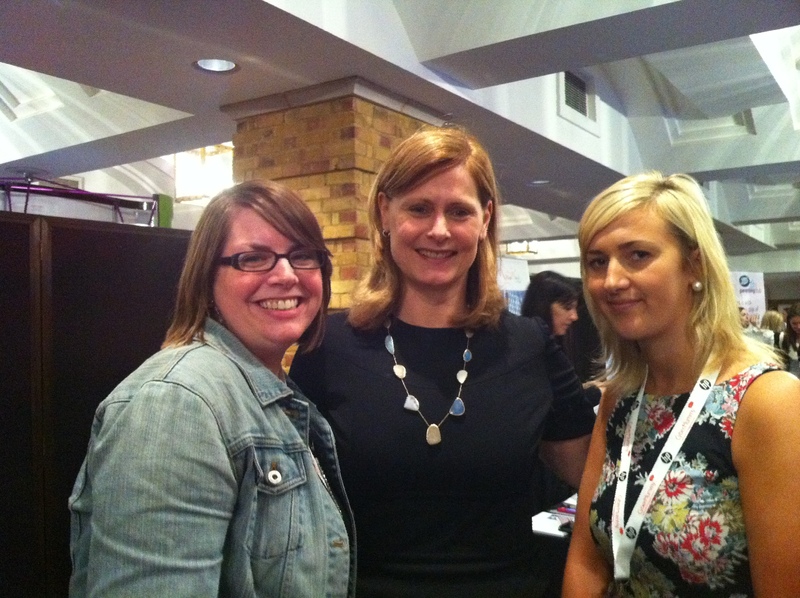 While not exactly a wrap up of the events at CyberMummy, it is inspired by the fantastic event. 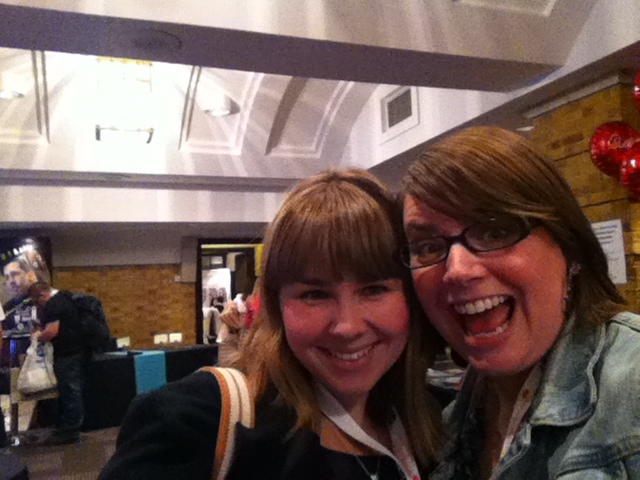 The recurring theme during CyberMummy11 was ‘niche’ – that to stand out, you needed to find your niche. I think niche is becoming a buzz word that is useful to sum up what makes a blog interesting or diversifies it from the rest. To be honest, it’s not niche that drives me to look or read certain blogs, certainly the subject matter is important, but most importantly it is the quality of the writing or photos or the aesthetic of the blog. ‘Niche’ will only get you so far. (stepping off the soap box now). I’m a new blogger, but I have been a blog reader for many (many) years. I had been thinking about starting a blog for years really. I ran a website back in 2004 that was set up like a blog, but was mainly there to promote the bands I worked with. I didn’t consider myself a blogger. I left that up to the New York bloggerazzi at the time (The Modern Age, Melody Nelson, New York Doll, Jinners, Divestar, etc). I was just the hanger-on. I thought about setting up a blog when I moved from the US to the UK but I didn’t think anyone would care. I thought about setting up a blog when Mini G was born, but my life soon became occupied with taking care of a brand new little dude. I finally took the plunge earlier this year in January and I am kicking myself for not having had the courage or the discipline to do it sooner. What kick started my motivation was reaching out to bloggers through my job. I work at a PR Company and we reach out to writers of blogs for various clients and campaigns. I wanted to know what the ‘secret sauce’ was to receive positive responses. This then prompted me to figure out how blog platforms work in general. What kind of code can you embed on a blog? 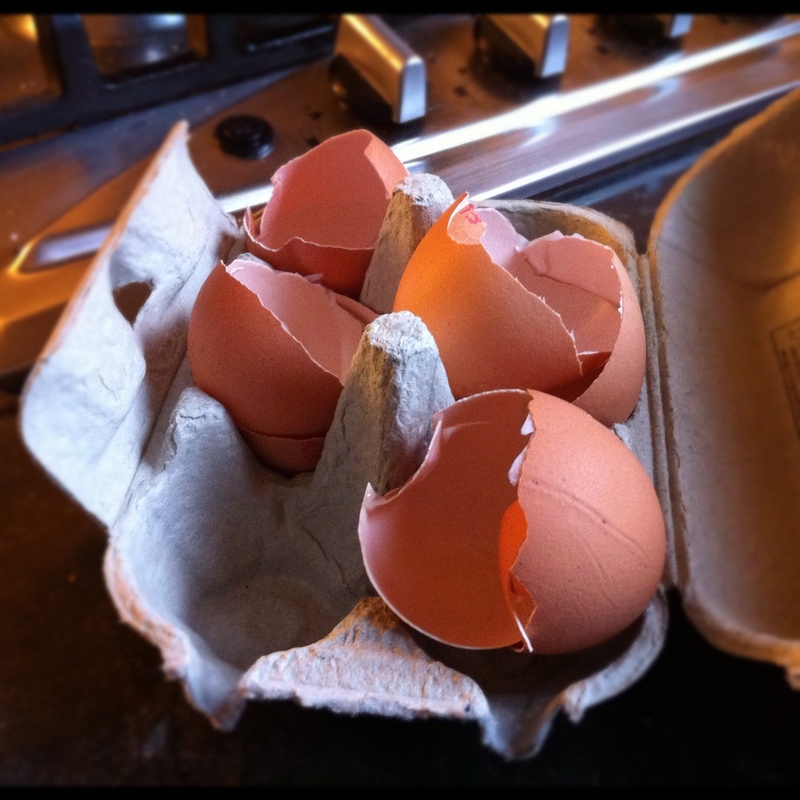 (The geek in me is showing) How do photos work on a blog? What are bloggers writing about? Anyway, I wanted to learn more. I bake, I love baking, I love reading about baking so I read a lot of baking blogs. I thought yes! I finally found my voice. 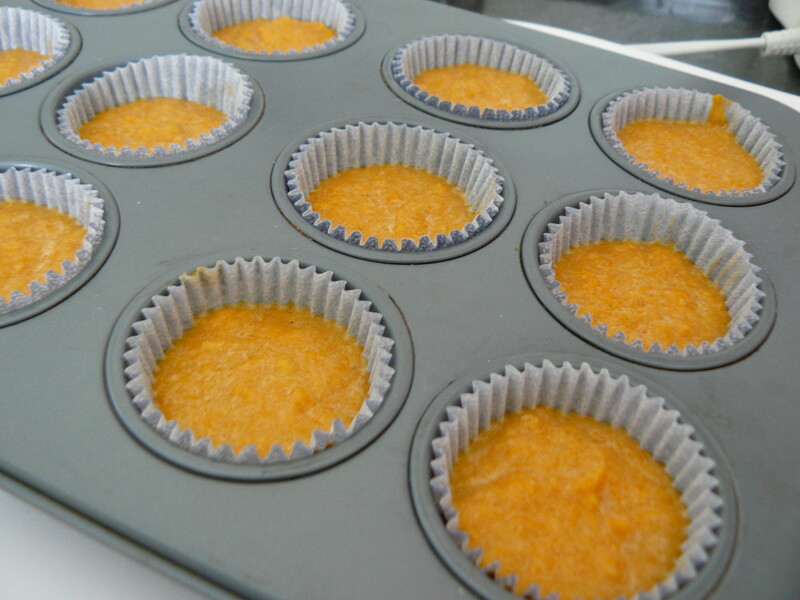 I can write about baking. 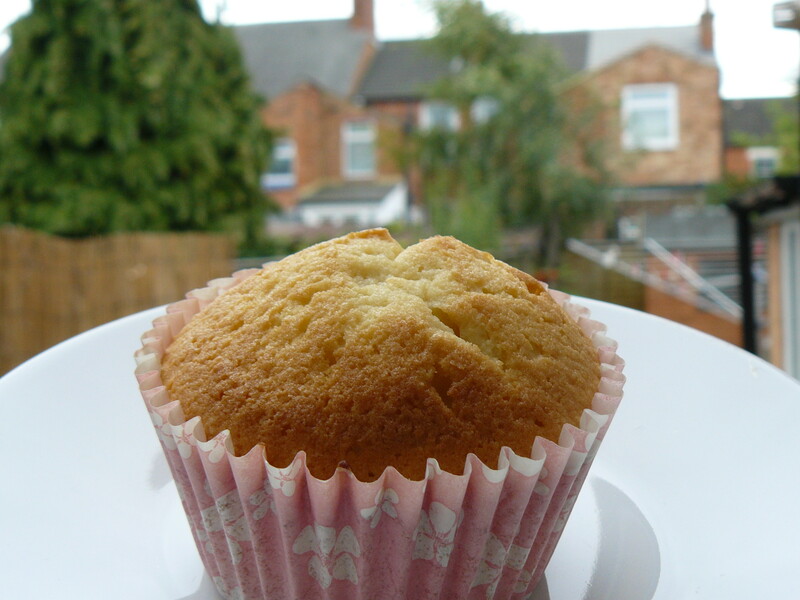 I photograph everything I bake already. 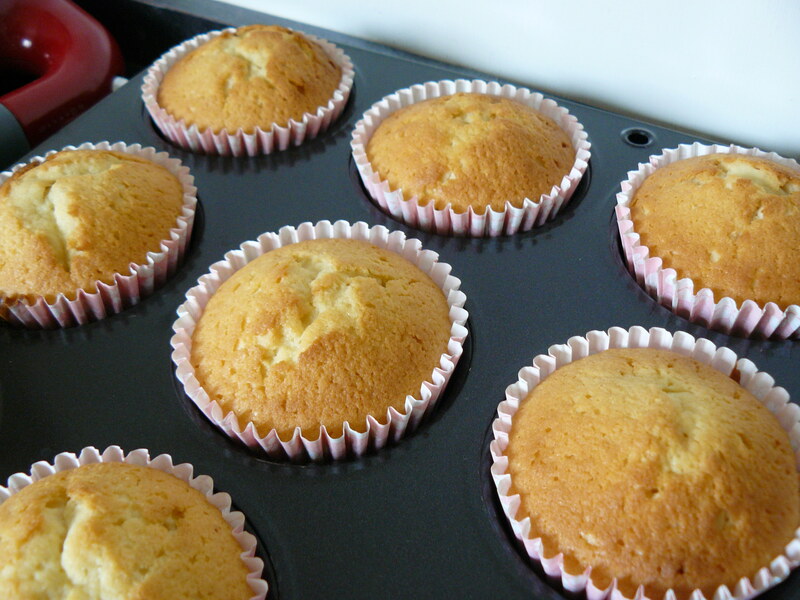 I am going to start a baking blog, but because I also love other things like TV, funny things that Mini G does and other kitchen related things, I decided on a title that encapsulated it all… hence ‘Cupcakesandotherstuff’. And now, I am learning more. I still don’t know what the ‘secret sauce’ is for getting bloggers to respond or cover stories, but on this journey I have discovered that I love writing my blog. And I know it will give me more insight, perspective and enthusiasm which will cross over to my work. I am very glad I wanted to learn more because otherwise, I wouldn’t have heard about CyberMummy. I wouldn’t have met all of these amazing – yes, absolutely amazing – women (and men) and bloggers who all have something to share and something I can learn from. I was inspired by Sarah Brown. As a politician’s wife, you can sometimes forget that she is a mom, just like me. But she made a point that really resonated with me. In her keynote speech she said, “Social networks give you a voice to enable change”. It’s amazing to think of the power and influence one has with a blog, Facebook page or Twitter account. And listening to Rachel Johnson reminded me that once you publish something, it’s out there – whether in print or in cyberspace, so make sure you are behind what you say 100%. And, if I hadn’t wanted to learn more, I wouldn’t have met new friends like @mummytips and @verybusymama and @mim_tweeta and @cosmicgirlie and there are way too many to list here (this blog post is already the longest I’ve ever written!). Soooo… to wrap it all up, through this journey I have found my niche… it’s just being me.